Wolfsburg interested in turning Marcel Tisserand’s loan deal permanent. When Victor Osimhen signed for Wolfsburg earlier this year, it was based on a commitment to gradually integrate in to the team. Despite his huge talent , Osimhen is yet to see action. The reason for his inability to wear the wonderful colors of Wolfsburg is based on one factor alone-lack of chance. Wolfsburg has seen officials sacked faster then the speed of light. Valerien Ismael, who was the coach when Osimhen was signed last season, is no longer there. Andries Jonker, who barely saved Wolfsburg from relegation last season was recently fired. The sports director who gave the green light for Osimhen to sign for Wolfsburg, Klaus Allofs was sacked. Martin Schmidt is the new coach in Wolfsburg. 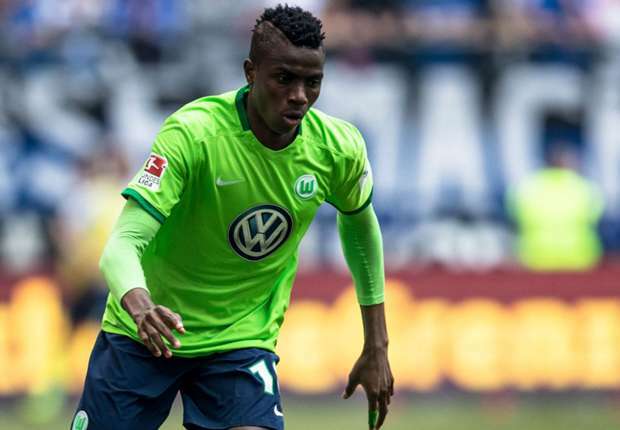 Given the changes that Wolfsburg have experienced in 9 months, it is difficult for Osimhen to convert the confidence garnered through months of training and discipline to any successful conclusion. Because he had to start all over again with a new coach. Osimhen made it to the bench for three matches so far this season. Recently, Mario Gomez of Wolfsburg was injured and out for at least a month. His position became available. However, the following players, including Osimhen, were contesting for the position. They are Landry Dimata, Paul-Geroges Ntep and Kaylen Hinds. Despite the circumstances, Osimhen has taken it in stride and hopes for a better day. Who knows, if he finally get his chance to play for Wolfsburg, may be he could soar like a super eagle. VFL Wolfsburg have found a replacement for the injured American central defender, John Anthony Brooks. They have signed Marcel Tisserand of FC Ingolstadt until the end of the season. 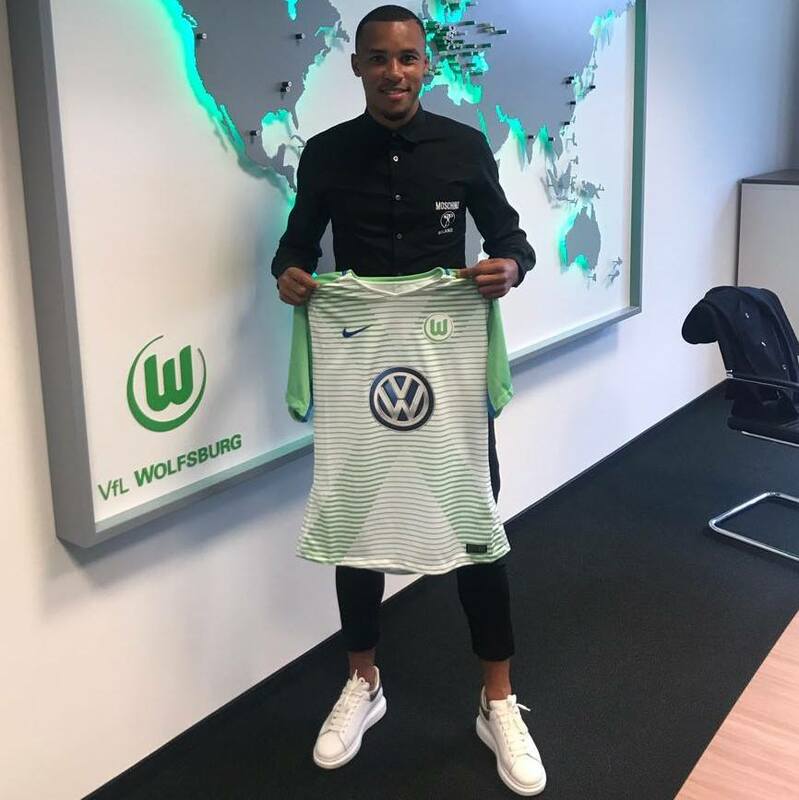 Given that Brooks injury will last 3 months before he could play again, the officials in Wolfsburg had to look for a viable player that fits the profile of the club. The 24 year old French- Congolese, played for FC Ingolstadt last season but could not prevent the club from relegation. Tisserand has been given the number 29 jersey. What does it take to be in the starting line up for VFL Wolfsburg on match day is still a mystery that only Felix Magath knows. The team has seen a fair number of rotations. It has led to insecurity among the players and it shows in the style of play. The players do not play from a position of strength anymore and critics are beginning to wonder, if Magath is the right man for the job. Take Patrick Helmes, who was banned from the team not so long ago by Magath. Only to be reactivated in the second half of the season. The reason given by Magath for his initial axing was poor commitment to training. Likewise,Mario Mandzukic, who is the highest goal getter this season for Wolfsburg, was not on the bank in the humiliating defeat to Hoffenheim on Saturday. Felix Magath popularly known as Qualix because of his tough training methods has become a player agent’s dream of a manager. In Wolfsburg, money is in abundant supply. And Magath has invested heavily in buying players without success on the league table. The goals of Volkswagen, the financier of Wolfsburg to play in the European league can not be reached this season. Rather, they have settled for mediocrity. Alarm bells are not ringing yet from the top echelon of VFL Wolfsburg. But how long will the fans confront a team that has no clear cut pattern of play or identity ?